With a decade’s experience in designing and manufacturing connected-home accessories, Aeon Labs continues to set its sights on responding to evolving industry needs. This year the company will use its presence at ISC West 2016, April 6-8 in Las Vegas to highlight 4 new Z-Wave devices each crafted to cater to distinct, emerging consumer trends. Connected home lighting technology typically means replacing either a light bulb or a wall switch. Neither is perfect in every home. Nano Dimmer is. Designed to be wired in behind an existing light fitting or wall switch, Nano Dimmer makes any light circuit a part of a connected home using Aeon Labs’ Gen5 blend of Z-Wave Plus technology. Based upon technology pioneered by Aeon Labs, Nano Dimmer brings hidden control to all common lighting solutions including dimmable LED bulbs. 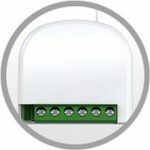 The retrofit solution was designed to be installed in less than 5 minutes and blends control and dimming with reliable power metering measurements. Connected lighting has long been the foundation of a connected home. However, consumer trends have rapidly moved to include both functional and decorative lighting. Having launched its best selling LED Bulb in 2015, Aeon Labs follows up in 2016 with LED Strip. Offering 16 million colors and dedicated true-white lighting, LED Strip is designed for both primary and ambient lighting. 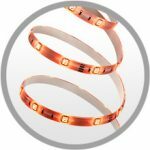 A thin strip only 3mm thick, LED Strip offers multiple diodes across a length that ranges from 1 meters to 10. 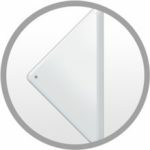 Consumers can cut, shape and install it in minutes and extend their connected-home system to offer true-white and colored lighted throughout areas in the home traditionally inaccessible to light bulb installations. Consumers are rapidly moving away from the model of ‘smart phone as home controller’ – it’s slow and it’s inconvenient. Aeon Labs is responding with WallMote, a Z-Wave Plus battery powered wall switch capable of controlling hundreds of Z-Wave devices and that can be mounting on a wall using only sticky tape. Some more new product we released in 2015. 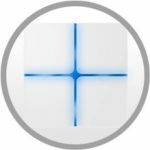 Aeon Labs was founded in 2006 as a developer of smart home technology built upon the Z-Wave standard. In the decade since, it has gone on to design, engineer and manufacture home control products for leading systems internationally. Its range of near-on 40 Z-Wave products are used to create solutions for the industry’s leading providers and sellers including ADT, AT&T, Honeywell, Orange France, Staples, and Verizon.